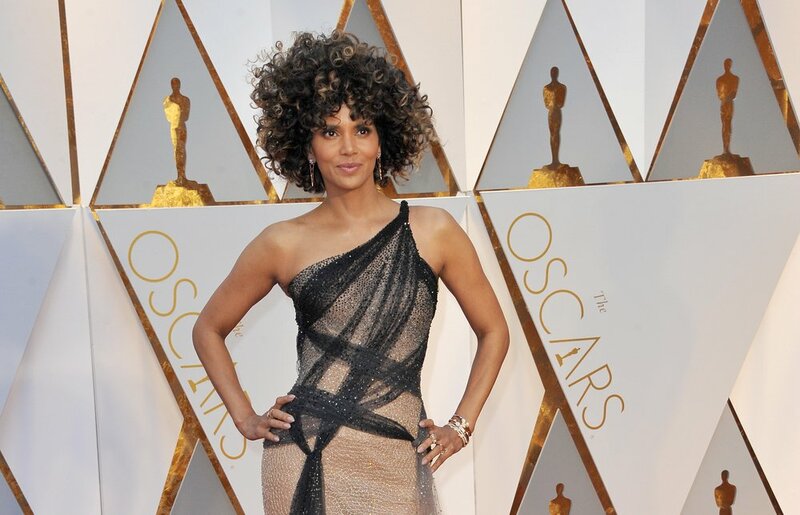 Halle Berry is an ageless beauty with an amazing physique. The 52 year-old Oscar winner is serious about her health and fitness, and this clear from her appearances on red carpets. While she follows a keto diet, Berry also does her best to stay in shape. As a result of the continuous admiration that her physical appearance generates, the fit actress has begun a fitness series on Instagram. Dubbed “Fitness Friday”, the series has Berry sharing her tips and tricks on how she stays in such incredible shape. In one of her posts, the star shared an image of herself and her trainer Peter Lee Thomas working out with a resistance band. This #FitnessFriday let’s get fit with resistance BANDS! Resistance bands are regularly used in the fitness realm and for good reason. As said in their name, these bands provide resistance to one’s movements. This resistance then forces the muscles to work harder, thereby strengthening them. These bands are a great tool to pack away in your gym bag. If you’re still not convinced by the image of Halle Berry breaking a hard sweat with them, read on to find out the benefits associated with these bands. Unfortunately, due to the need for individuals to stay fit, gym fees seem to be on a permanent increase. As a result, a lot of us would rather attempt to work out at home, or not at all. Thankfully, resistance bands are a great investment into your fitness life. These cost effective bands help ensure that you get a good sweat in, without breaking the bank. Also, their versatility provides you with the chance to perform as many, different exercises as need be. Often, when we purchase new gym equipment, we have no idea how to use it and now you’re stuck figuring out how to exercise instead of actually exercising. Resistance bands do not bring these problems. With resistance bands, the best place to start would be with a familiar exercise. These bands are great for modifying already familiar moves. They can be used to replace the weights that are used during squats or they can even increase the intensity of your push-ups. Resistance band can work every muscle in your body. They can be used to do a variety of exercises and each exercise challenges a certain part of the body. Often, individuals avoid the gym and working out because of their fear of the unknown, of not knowing where to start. Resistance bands help ease this burden. These bands come in multiple resistance levels, usually light, medium or heavy. So whether you’re a beginner or gym junkie, resistance bands are for you. Also, you can adjust the amount of resistance as you grow more confident in your fitness journey. Not that you’ve read more on why you should use resistance bands, why don’t you use Halle Berry’s six-move workout to stay perfectly toned during the festive season? Place center of band at chest. Hold handles with arms extended. Draw right hand to chest. Get into push up position. Place each ends of the band under both hands. As you push up, turn to your right and use your right hand to pull band upwards. Make sure left hand stays down. Go back into push up position. As you push up, turn to your left and use your left hand to pull band upwards. Place band onto the ground. Stand onto the band, make sure feet are apart. As you stand up, loosen hold on bands. Lift feet slightly off the ground. As you slowly move your feet down, pull the band towards your chest. Run as far as you can. In the furthest position, continue to sprint on the spot. Place right foot on top of band. Hold each end of the band in the opposite hand. Slowly pull up towards the sky. Jada Pinkett Smith is in great shape and she’s just as fit conscious as Halle Berry. See how she maintains her amazing physique, all in the comfort of her own home, here.